I have a lot of goals. Big huge hurdles I want to jump over right now so I can be happy right now and live my life right now. Yah know? I'm going to be honest. I was never really a "goal girl". I remember last year, when I was drowning myself in the blogging world, that was the word I saw everywhere. Goals goals goals. SMART goals. Realistic goals. Attainable goals. My family goals, blogging goals, weight goals, why you should make goals goals. So I blindly hopped on the train - because it was what everyone else was doing - and made some goals. Write a book. Grow a blog. Feel good about myself. Here I am a year later, wondering if I could get anymore off track. Don't get me wrong, I did pretty good. For the first three months. Then life happened and things didn't work out. Now I'm here (something I'm certainly not mad about). Part of me will probably never understand goals. Part of me will always get lost and sabotage my goals. 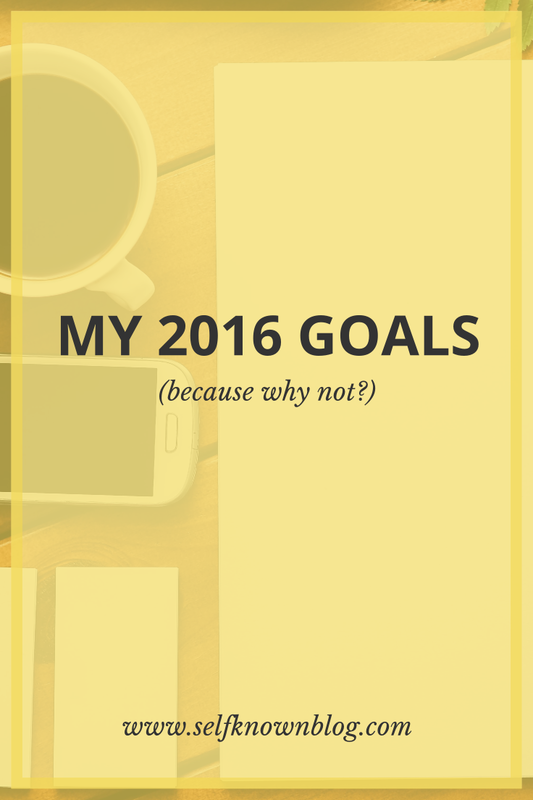 This year I am going to share my goals with you guys. Not so we can bond over goals (even though we totally should!). Not so I can set myself up for public failure. This is for me, so I can come back to this post - tomorrow, next month, next year - and adjust how I foresee my future. By the end of this particular span of twelve months, I want to have completed the following. Intertwine my Nicole Rose Designs shop with my Self Known hub. Grow my newsletter to 3k active readers. Start my first year at college. Get a job (WHOOP WHOOP). Help creatives identify who they are through their work (by doing work of my own). Want to help me complete a goal?